Ideally we’d all like to keep the smooth and seamless skin we’re born with, but so much can happen to mar an otherwise perfect surface. 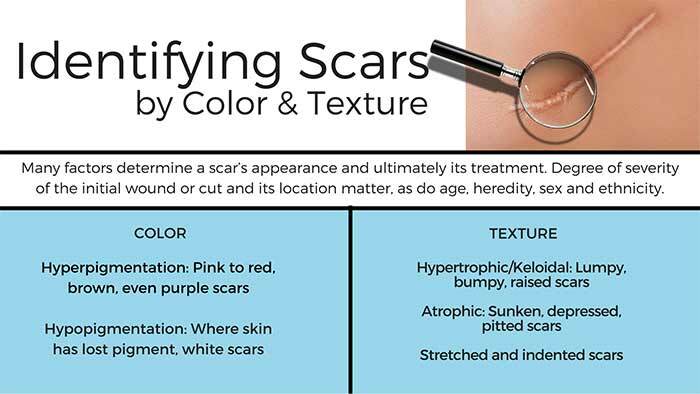 Over a lifetime cuts, scrapes, burns, trauma brought about by surgery, acne and other skin conditions, even pregnancy can contribute to the formation of scars. Some may be easy to conceal or are so minor only time is required for them to mostly disappear. But what of the variety that results in disfigurement and are not so readily disguised? These can cause real emotional and sometimes even physical pain. The team at Contour Dermatology is passionate in their quest to minimize and improve the appearance of scars. Whatever the injury, scarring is a natural condition and the final part of the healing process. When the dermis or middle layer of the skin is damaged, the body forms new collagen fibers to repair the site. The end result is a scar. It’s essentially composed of the same collagen as the tissue it replaced, but unfortunately it differs in texture and quality. Scars are very diverse. Vermadermabrasion– a form of dermabrasion that uses a vibrating paddle.